WASHINGTON— The Center for Biological Diversity sued the U.S. Fish and Wildlife Service today for public records on the Trump administration’s decision to allow bee-killing neonicotinoid pesticides and genetically engineered crops on national wildlife refuges. Today’s lawsuit follows an August 2018 decision by the Trump administration to reverse a refuge-protection measure that prohibited the use of neonicotinoid pesticides and genetically engineered crops that trigger greater pesticide use. Between September and November 2018, the Center submitted multiple Freedom of Information Act requests to the Fish and Wildlife Service seeking public records on its 2018 decision to allow neonicotinoid pesticides and genetically engineered crops on national wildlife refuges. Today’s lawsuit, filed in U.S. District Court for the District of Columbia, comes after the administration failed to respond to those public-record requests. Under the Trump administration, the Service has been widely criticized and repeatedly sued for refusing to release records lawfully requested under the Freedom of Information Act. The United States’ 562 national wildlife refuges are the world's largest collection of lands set aside specifically for the preservation of imperiled fish and wildlife. These forests, wetlands and waterways are vital to the survival of thousands of species, including more than 280 protected under the Endangered Species Act. But industrial-scale farming of crops like corn and soybeans has become common on the refuges. According to a 2018 Center report, No Refuge, in 2016 alone an estimated 490,000 pounds of harmful pesticides were dumped on commodity crops grown throughout the refuge system. That pesticide use is expected to grow following the Trump administration’s 2018 decision to allow pesticide-intensive, genetically engineered crops and bee-killing neonicotinoid pesticides on these lands. The extensive use of pesticides by private, commercial farms on refuges threatens sensitive habitats and the very purpose of the refuge system. Neonicotinoid pesticides are a leading cause of large-scale pollinator declines. They are also highly toxic to aquatic invertebrates and pose a substantial threat to birds. The European Union has banned these pesticides for outdoor uses in agriculture. The use of genetically engineered crops on wildlife refuges will spur an increased use of toxic pesticides like dicamba and glyphosate. That will ramp up harm to pollinators, as well as birds, aquatic animals, other wildlife and public health. 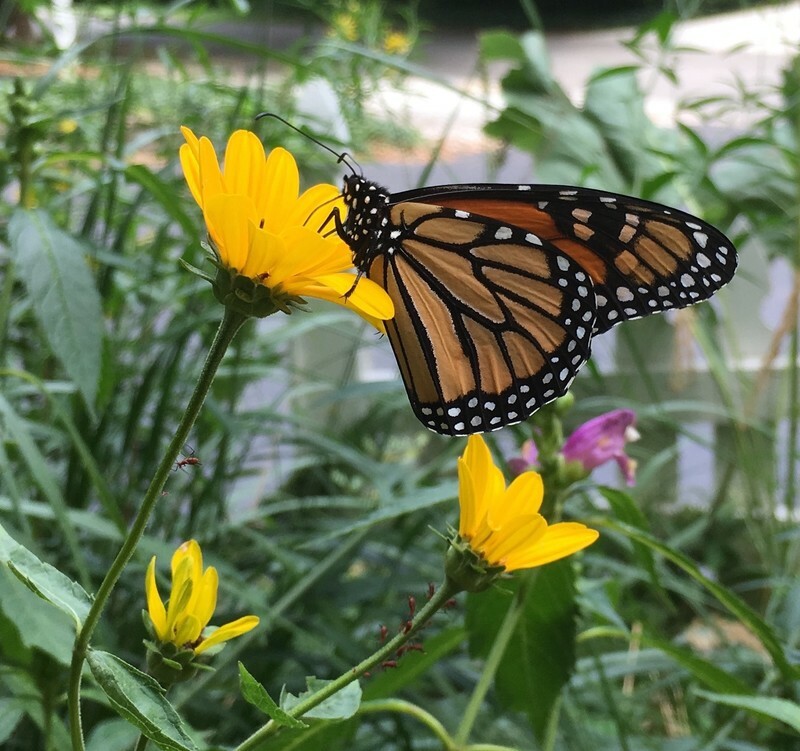 Glyphosate use on genetically engineered crops has contributed to the significant decline of monarch butterflies over the past two decades because the pesticide kills milkweed, the monarch caterpillar’s only food. The Center for Biological Diversity and Center for Food Safety launched a lawsuit challenging the Service’s 2018 reversal immediately after it was announced. That suit challenges the agency’s failure to consider the risks of increased pesticide use to imperiled species that rely on national wildlife refuges for food, habitat and protection. Monarch butterfly photo by John Buse, Center for Biological Diversity. Images are available for media use.